Are You Interested in Becoming a Courage For My Life Leader? Join the Courage For My Life training. We will prepare you to lead At Risk women change the course of their lives by unleashing God-given courage into their everyday lives. We will walk step-by-step through our curriculum, Courage For My Life, designed to empower At Risk Women to embrace their God-given courage to pursue their God-given dreams. We will also discuss the details of ministering to women who have been neglected, abused and incarcerated. You will be equipped to lead a Courage For My Life group for At Risk Women. Courage For My Life books, supplies and support will be provided. Join us for this life-changing ministry opportunity. 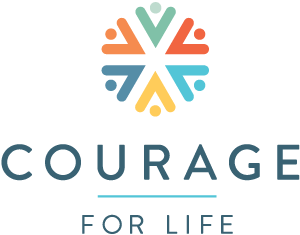 Are You Interested in Becoming a Courage For Life Leader? Prepare to take others on a transformational journey toward more Courage For Life! Are you ready to dig deeper into God’s Word and help others do the same? Transforming Lives Through Teaching, that will transform the way you teach the Bible to others.